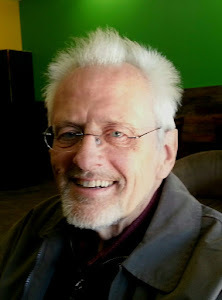 I started this blog site, Finally Our Time, eight years ago when I first retired at the age of 64. At that time, I was writing about retirement, trying to do kind of a humorous look at what it meant to be retired. While that was fun, and it helped me to sort out my thoughts on retirement and what it meant to me, I found it was difficult to keep coming up with ideas for the humorous side of retirement. I'm not really a comedy writer. Then I went to writing about local restaurants. My wife and I enjoyed eating out a lot, and I got this hare-brained idea that if my blog postings were reviews of restaurants, then I could take a tax deduction for every meal when we went out to eat. Well, that didn't work out. I discovered that all our evenings out were not going to be tax deductible, and besides I discovered that the years between the ages of 65 and 70-1/2 are the golden years when it comes to taxes. I wish I could go back to them. Then I discovered whole food, plant-based eating and decided that's what I would write about. For the last six years, this site has been devoted to my thoughts on eating whole food, plant-based. And it's been more successful than I ever imagined it would be. It turns out that a lot of people like reading what I think about eating whole food, plant-based. Then two years ago, I started a second blog site titled The Art of Plant-Based Meal Creation, where I started posting recipes that I was experimenting with. Then it developed into some of my favorite recipes. And now it's where I want to consolidate my writing on the whole food, plant-based lifestyle. Therefore, I am asking you my reader to do two things. First, click on that link and subscribe to The Art of Plant-Based Meal Creation. Second, in the email where you received this blog posting, click Unsubscribe. It's important to unsubscribe to Finally Our Time because once again, Finally Our Time is going to change. I'm spending more and more time (not to mention money!) on photography, and I've now decided that it's finally time for me to blog about photography. I will be archiving all the past writings on eating whole food, plant-based that are currently on this site. But they will not be lost. Over time, I plan to re-publish the most popular posts from here on The Art of Plant-Based Meal Creation site. And if you watch for my book that I'm working on, Twice the Man; Half the Weight, then you will find the best and most popular blog postings included in that book too. I'm not going away. I'm just moving to a new site, and that requires some action on your part if you want to keep reading my blog postings on eating whole food, plant-based, and you don't want to read my thoughts on photography. If you do want to read my thoughts on photography, then stay subscribed here too. Thank you for being my reader, and I hope you continue to be so at The Art of Plant-Based Meal Creation. And if you're a photographer, stay here too. I've been doing a lot of thinking lately about how vegans and those living a whole food, plant-based lifestyle fit together. I'm thinking about this for a couple of different reasons. One, as a club officer in a whole food, plant-based oriented club, I'm concerned about some of the confusion and misunderstandings that I see. And secondly, I've been thinking about it because of some of the statements that I've heard from people who identify themselves first and foremost as vegans. And what concerns me there is a philosophy that says eating whole food, plant-based is a subset of being vegan and wfpb doesn't have the same level of moral consciousness as being an ethical vegan does. Like many non-vegans I know, that attitude rubs me the wrong way. It doesn't change the fact that I hold the same values as ethical vegans do. I am opposed to animal cruelty. I live that in my every day life, not just in terms of food, but also in the consumer products that I buy and the causes I support or don't support. I think most of us who are whole food, plant-based believe in vegan ethics and try to live a vegan lifestyle, whether we identify ourselves with the more strident vegans or not. We can actually live out a vegan lifestyle without ever calling ourselves vegans. And I say that because in many ways, I would like to get away from the word vegan, but not get away from the values expressed by it, because I think it is misleading to those of us trying to eat a whole food, plant-based diet. It can lead us to think vegan when we go into a restaurant for example and that can lead us to order a vegan cheeseburger or other vegan dish that is full of chemicals, salt, oils, etc. In other words, while it can lead us to not eat animal products, it can also lead us to eat foods that really aren't whole food, plant-based or good for us. And that's contrary to our goals. I always suggest thinking whole plant-based foods instead of vegan foods. And one way I like to look at it is when I go into a restaurant I have in my head Dr. Fuhrman's acronym G-Bombs, which stands for greens, beans, onions, mushrooms, berries and seeds. I look for dishes that have all those components in them or as many of them as I can get. And then if I have to, I tell them to leave out the meat and the cheese (and the oil). If there's nothing specific on the menu, then I look to see how many of those ingredients are used in other dishes, and then if they're all there, or mostly there, I ask the chef to make something focused on those ingredients. Thinking G-Bombs instead of vegan really helps in getting the right foods when eating out. But that's not the purpose of this blog post. In fact, I recently wrote on doing that before. This blog post is about the conclusion I came to about the complementary missions of the vegan and the whole food, plant-based movement. And the missions, when stated this way, are very complementary and put each on equal footing. It doesn't make one a subset of the other and it doesn't make one less equal from a moral standpoint than the other. Of course some vegans will say that those who are whole food, plant-based are only concerned about themselves, but I don't believe that's true. I believe most of us want to see others become whole food, plant-based as well. We know that it will save our loved ones from a decade or more of decline and ill health in their last years. We know that it will help our loved ones to live better and more fulfilling lives. So, at a minimum, most of us promote this lifestyle to our loved ones when we can. But we go further too. We promote it to those we interact with in restaurants. We promote it to people around us. I know several people who converted to a whole food, plant-based lifestyle as a direct result of talking with me and seeing the results that I achieved. And people who come to this then also become more conscious of their impacts from food choices on the animals and on the environment too. So, anyway you slice it, the whole food plant-based movement is on equal footing with the vegan movement. One is about the animals and one is about humans. In other words, the two together cover the entire animal population of the world. Our missions are truly complementary.